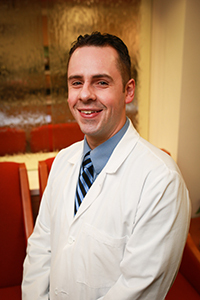 Aaron Dean joined South Hills Orthopaedic Surgery Associates as a Physician Assistant in April 2014. He had previously practiced at Washington Orthopedics and Sports Medicine since 2009. Dean received his Bachelor’s Degree in Biochemistry from Duquesne University, and completed his Master’s of Physician Assistant Studies at Chatham University. Prior to entering graduate school, Dean worked in the field of surgical research for five years at the University of Pittsburgh’s McGowan Institute of Regenerative Medicine. He is involved in Physician Assistants in Orthopaedic Surgery, and has his board certification through the National Commission on Certification of Physician Assistants. Dean is married with one child and a second on the way.